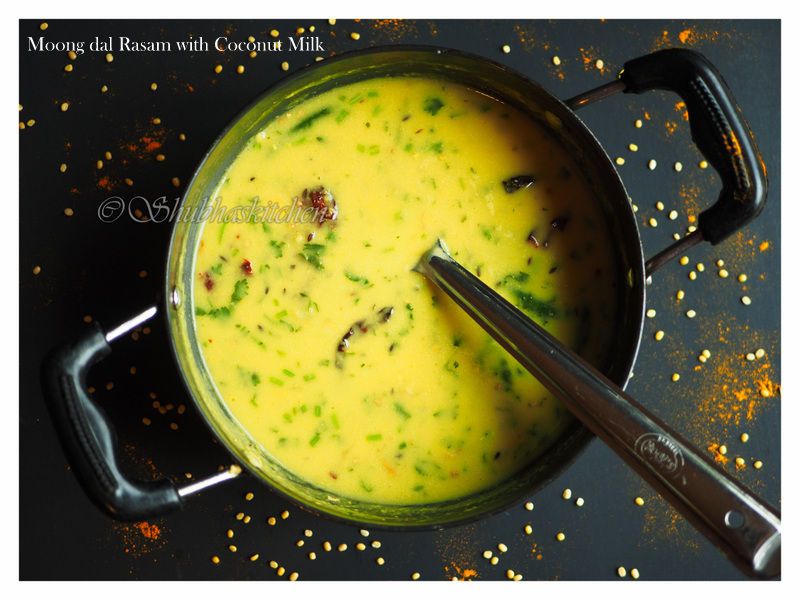 I am back again after a short break with a delicious and easy to prepare rasam recipe "Moong Dal Rasam with coconut milk". 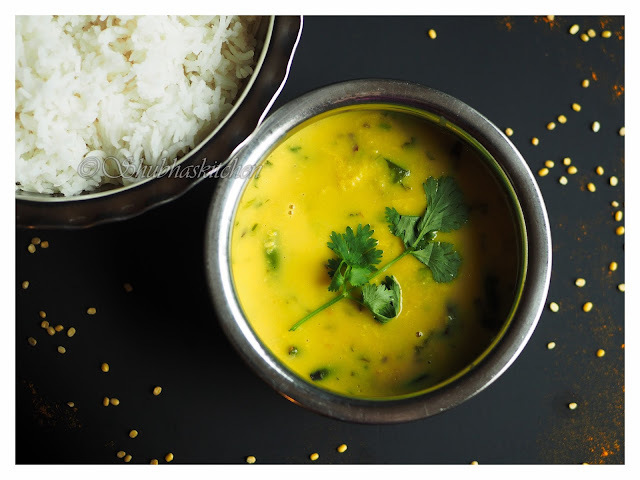 It can be served with rice or even as a soup:) It's gluten free and very healthy. 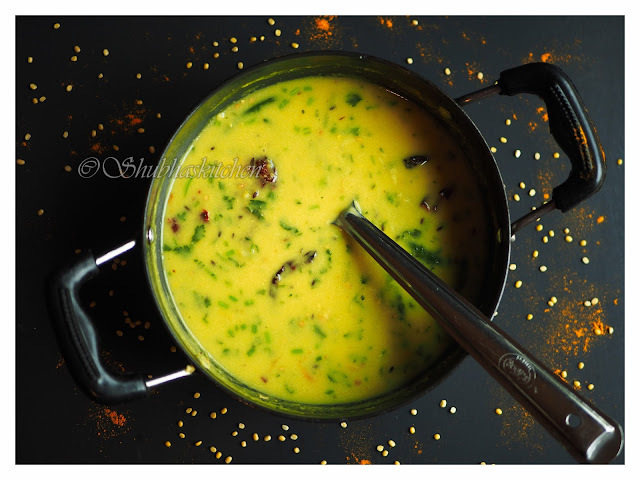 Heat ghee / clarified butter in a deep pot. When hot, add the cumin seeds. 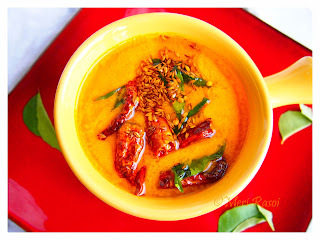 When it starts to splutter, add the dry red chillies, curry leaves, green chillies and grated ginger. Saute over medium heat for a minute or two. 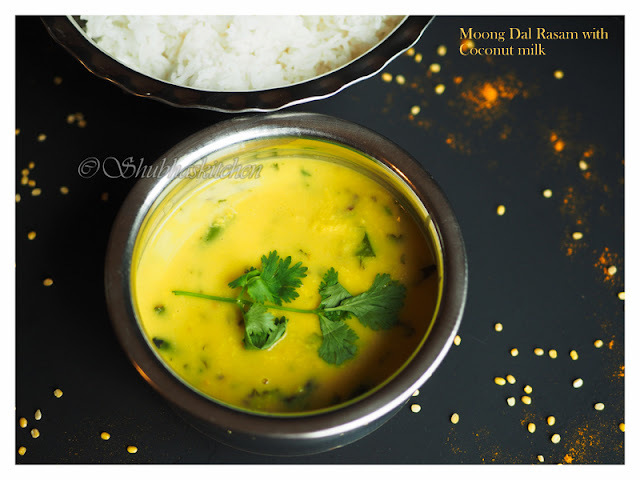 Add the cooked moong dal. Add 3/4 cup of water and mix well. Add turmeric powder. Bring it to a boil and cook for 5 minutes. Add the coconut milk. Add salt as per taste. Add in the lime juice and coriander leaves. Bring the mixture to a boil and then turn off the heat. Delicious Moong Dal Rasam with coconut milk is ready. 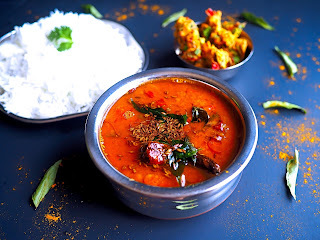 It can be served as a soup or serve it with hot rice. Do check out other rasam recipes.. 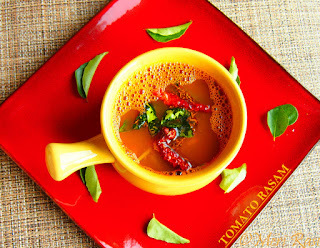 In an Indian household, this rasam is forever a sell-out. We just love it. Yum..will try it soon! Thanks! 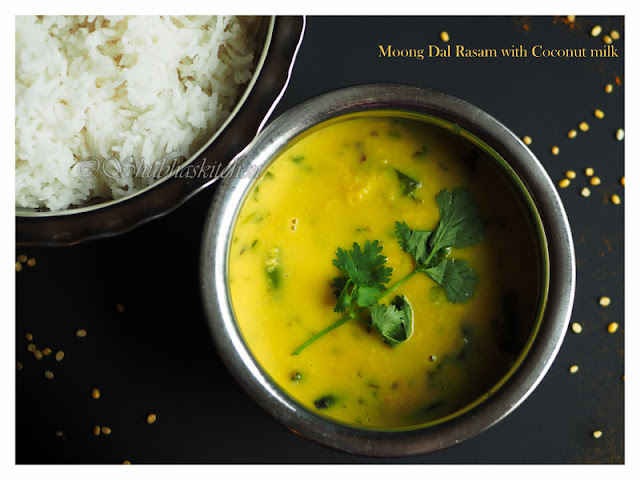 yummy healthy moong dal coconut rasam. 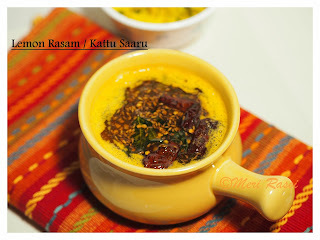 Looks tempting1 Its definitely the season for yummy rasams, soups and warming curries. Thank you for the wonderful recipe. I only skipped the chillies (because of allergies) and used parsley instead of coriander. Hearty and bursting with aroma. Ahh.. addition of parsely must induce a beautiful flavor i m sure:) Thanks for trying! !